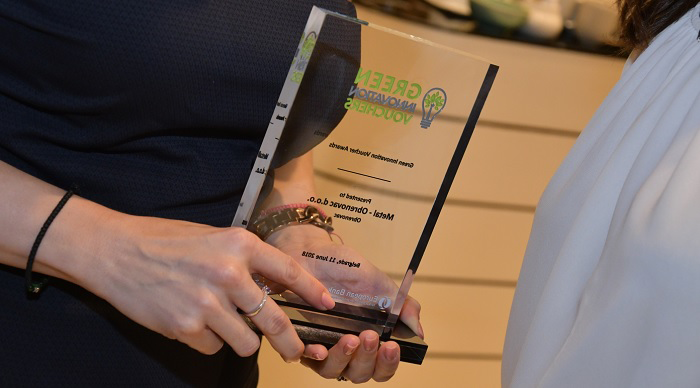 The EBRD launched the Green Innovation Vouchers Scheme as an innovative instrument to scale up green economy in Serbia. The scheme aims to boost the innovation capacity of small and medium-sized enterprises (SMEs) in the field of green technologies and resource efficiency by linking them to local R&D service providers. The resulting cooperation will enable SMEs to raise their environmental performance and competitiveness. Green Innovation Vouchers are grants that help SMEs to cover 90 per cent of the eligible R&D service costs, up to €20,000 (excl. VAT). Thus SMEs are expected to provide co-financing of at least 10 per cent of the total R&D service costs from their own sources. One voucher is available per participating enterprise, while within the same R&D service project SMEs can collaborate with no more than three R&D service providers. tailored training/consulting in innovation management and intellectual property. The Scheme is funded by the Austrian DRIVE (Delivering Resource Efficiency InVEstments) Programme while the implementation of the scheme has been supported by the Central European Initiative (CEI). For more details on the scheme including approved projects please visit the website.